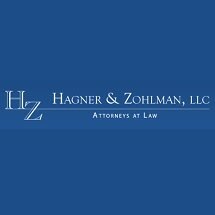 At Hagner & Zohlman, our practice draws on the expertise and experience of respected trial attorneys to offer individuals, businesses, and law firms throughout New Jersey the help they need to meet their diverse legal needs. We offer clients uncompromising representation and attentive service in a variety of legal disputes, including personal injury claims, real estate transaction, commercial litigation, disability-related claims, and municipal court defenses. Contact our Cherry Hill, New Jersey offices to find the high-quality counsel every client requires and the personal, small-firm service they deserve. In 2005, Tom Hagner and John A. Zohlman III established our practice after nearly 45 years of shared experience representing clients throughout New Jersey. As Certified Civil Trial Attorneys, each has garnered a reputation as exceptional litigators, working to represent the interests of a diverse group of clients throughout the years. Our legal professionals’ certification as Civil Trial Attorneys inspires confidence in our work and offers unique advantages to clients. We are aggressive litigators and experienced counsel, with a proven track record for representing our clients’ interests in cases involving large, national insurance providers and complex disputes. We remain active in the legal community, earning the respect and high regard of the bench and bar. Our attorneys rely on their experiences in large New Jersey law firms to offer top-quality representation in a variety of disputes, while remaining committed to offering clients the trusted service of a small New Jersey practice. We provide the counsel that other attorneys trust. Working closely with other lawyers, we handle all matters on referral, and work to provide other law firms with quality counsel on a shared-fee basis. Committed to offering the best representation possible, our attorneys provide the attentive service and cost-effective rates that large firms cannot. Zohlman, John A. III Esq.